Was hitting a bit of a slump with working out lately so went back to the book case for some inspiration. 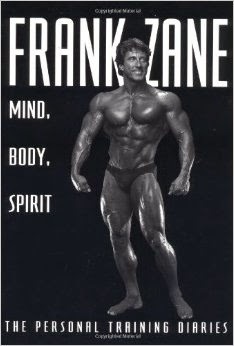 Among the Frank Zane collection is probably his most unique work, an assemblage of workouts spanning his entire life and career as well as dozens of poems written by the man himself. You see, Zane is one of those guys who defies the "meat head" label of bodybuilders. Always a loner and self sufficient, young Zane grew up spending much of his time alone, exploring nature, taking up archery, lifting weights and working his way up to the level of Eagle Scout. After a stint in Florida, Zane landed in California and was part of the emerging Muscle Beach era with luminaries of the sport like Dave Draper, Arnold Schwarzenegger, Robby Robinson, Franco Columbu, Ken Waller and more. At 5'9" and under 200 pounds, Zane was always told to get bigger but instead he went for detail, shape, definition and symmetry. 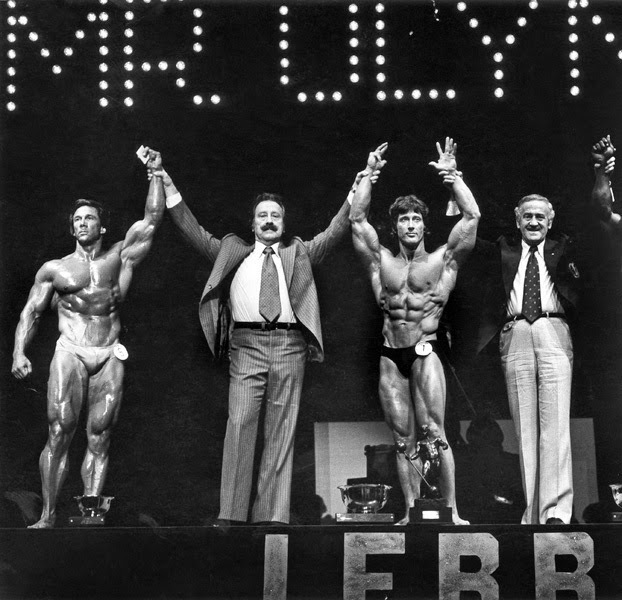 Zane would win bodybuilding's top honor, The Mr. Olympia, 3 years straight from 1977-1979. After making a living as a math and chemistry teacher, Zane would go on to achieve a master's degree in psychology as well. His poems and writing cover workouts, diets, dreams, life, death, memories of his family and the power of positive speech in order to visualize success. Only doing 2 sets of each Super Set let me give the muscles a nice variety while keeping me moving around the gym. As you can see, each Super Set is designed to use the same equipment so you're not wasting time between movements. Finished up with some rowing, 1000 meters in 5 minutes, abs, trunk twists and then 3 miles on the stationary bike. I felt great afterwards and was excited to work Legs the next day.